I’d planned today’s Wainwright bagging adventure at the end of last week. Second guessing weather maps that showed band after band of fronts passing over the north of England, hoping to hit a possible ridge of high pressure. I knew it was going to be a lucky one when I stepped outside first thing this morning, feeling the cold air, seeing stars high in the dark sky. It wasn’t 6am yet, and I was on my way to the west coast, peering through fog, the air clearing quickly, then suddenly misting over once again. 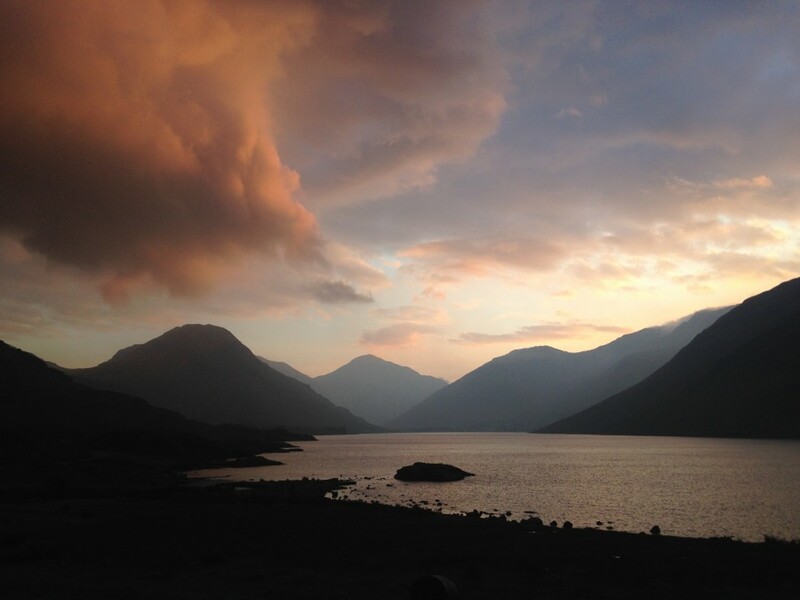 Sunrise on the approach to Wasdale, a majestic vista exaggerated by pink and orange early morning light. I kept stopping to take photo after photo. I parked up near Joss Naylor’s house at Greendale bridge, then set off in the gathering light, past huge round bales of brown bracken, which I guess will be used as animal bedding. On up the trail threading through bracken tinged with gold, taking it easy, enjoying the views opening up. The sun breaks the horizon, reflecting off the underside of dark cloud. Running in paradise. Views down towards Wast Water from the summit of Middle Fell, and memories come flooding back from the last time I was here, during my Joss Naylor Challenge run in May 2016. On that day I literally threw everything I had into the descent I’d just run up. Happy days. It’s pretty wet underfoot and a well worn trod takes me through leg sapping bog to the Pots of Ashness, steepening through boulders to the summit plateau, a cairn marking the top of Haycock. Lifting cloud revealing the lonely spire of Steeple with the rounded bulk of Scoat Fell as a backdrop. Ennerdale Water in the far distance glinting silver, as I ran on towards Caw Fell. A steep downhill and I almost twist my ankle on an unseen rock hidden amongst tussock, then picking my way over mossy boulder scree. 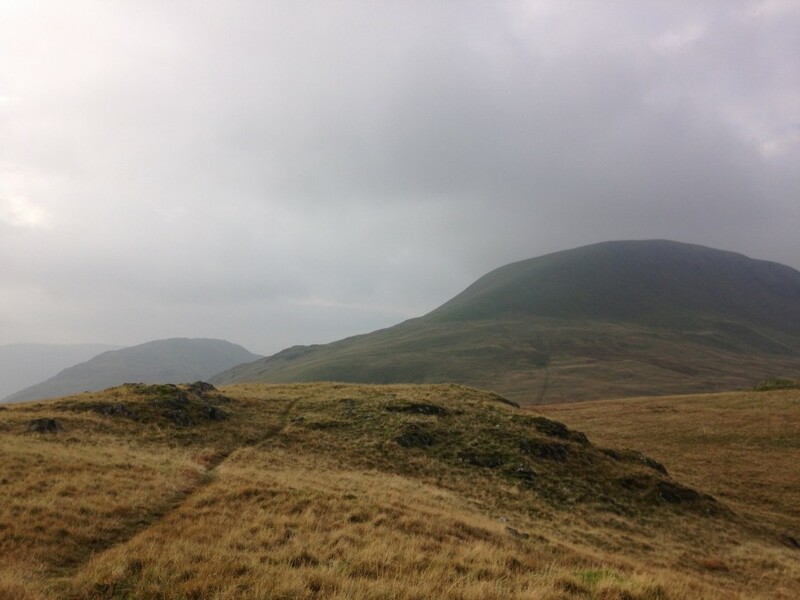 I find a faint trod, contouring round the lower slopes of Haycock, joining with the main trail to Seatallan. Again, memories from last year’s ‘Joss’ when I worked hard up this climb, knowing once I reached the top, I would only have one more summit to go. This morning, I was taking things much more leisurely, enjoying my solitude, the views, holding myself back. With another personal challenge looming I’ve been training hard for the last few months. Now I’m in active rest mode, hoping for another weather window next week, to coincide with a full moon on October 5th. With the Dirty Double Lakeland Trails event shortly afterwards, I don’t have the luxury of time on my side. If anything, I’m fitter than last year, although I’ll need to be, as the 55@55 has only ever been completed by three people before. One of them, my own late godfather, George Brass in 1997. It’s a full Bob Graham Round, with an additional 13 peaks, one for every year of life. 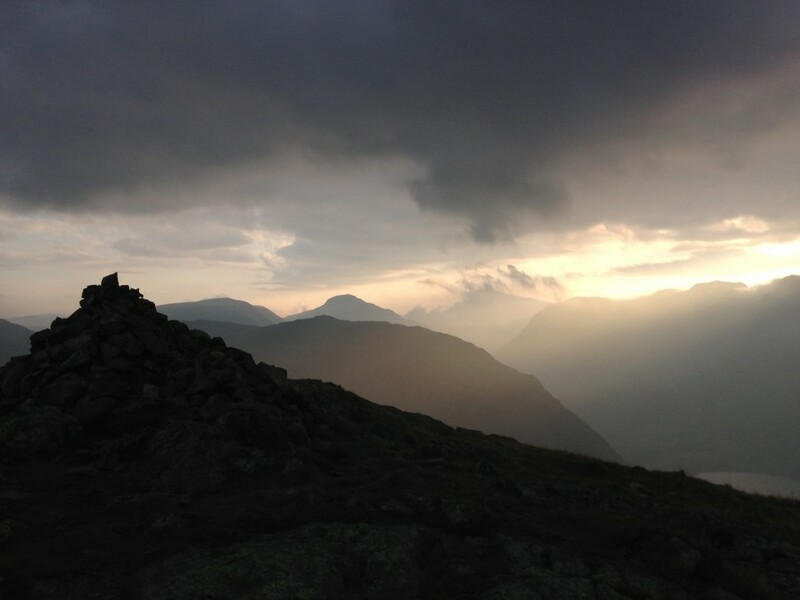 Throw in around 75 miles of very wet Lake District terrain climbing and descending nearly 30,000 feet, with more than half the day now in darkness. It will take everything I’ve got to get around in under 24 hours. Once again, I’ll be running solo with support at the road crossings from my ‘dream team’ Claire and Ash. I’ve been improving my orienteering skills throughout the year in preparation. I’m now comfortable with night navigation, confident map reading on the run. The descent off Seatallan to the distant small lumps of Buckbarrow, an invitation to run fast. A gentle gradient on soft, grassy trails, winding around knolls and small hills. Today though, I’m having none of it, holding back as much as I can, jogging along in second gear. I reach the top, then down one of my favourite routes, plunging straight off the steep rocky spur, heading straight for Joss’s farmhouse next to Greendale bridge. The sun has come out and it’s warm by my van. After changing, I call into Joss’s house to say hello. Mary Naylor invites me in, although Joss is out somewhere on the fell. ‘He’s never in’ Mary tells me. The living room is full of photographs, paintings and awards, testament to the living legend of Joss. I leave the house feeling inspired. Another 5 Wainwright summits today leaving only 10 to go. I’ve saved these last ten summits as they’re all on Leg 4 of my 55@55 round, so I can count them down as an extra incentive when the going, no doubt, will be getting tough. On Yewbarrow, I’ll have nine to go. 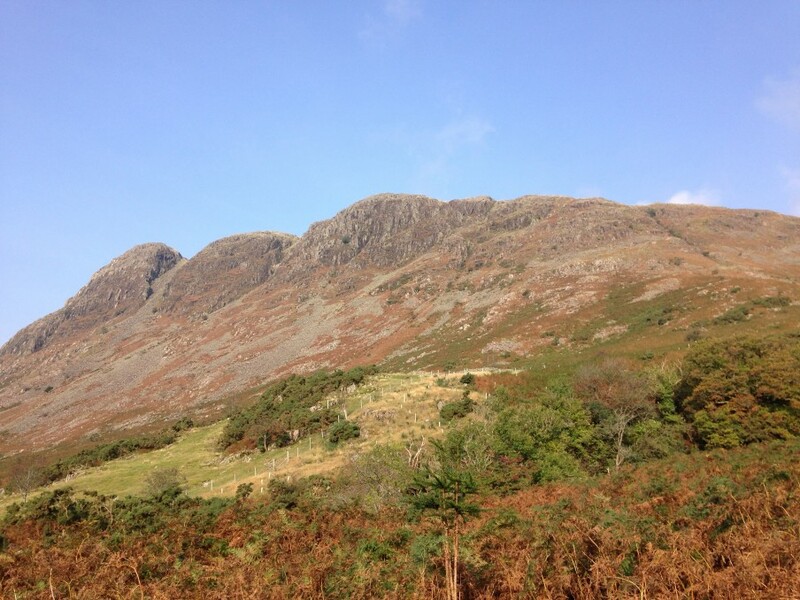 Red Crags, eight to go and so on until Grey Knotts, my final Wainwright. 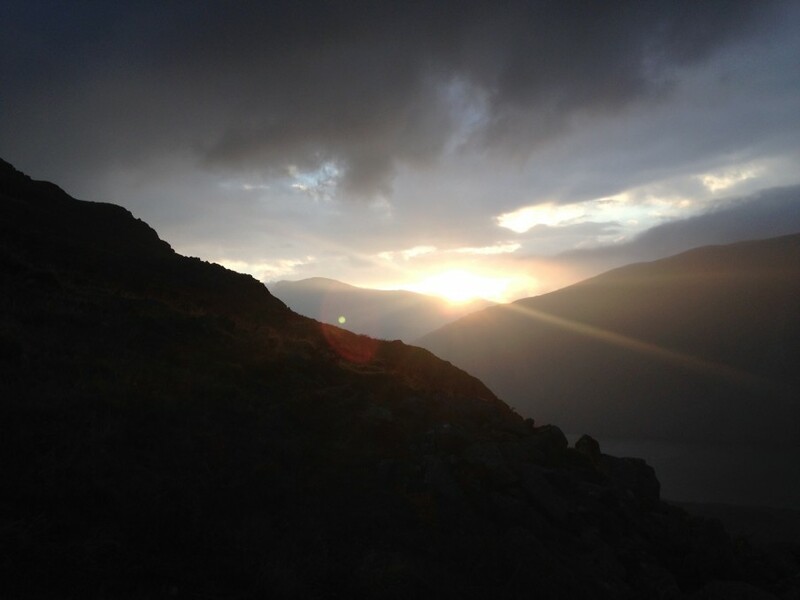 That will complete all 214 summits within a year, the fourth successive year that I’ve run them. Of course, after that final summit on Grey Knotts, I’ll still have to three more hours of running to get back to Moot Hall in Keswick via Dale Head, Hindscarth and Robinson. It’s going to be hard work, yet I can’t wait! 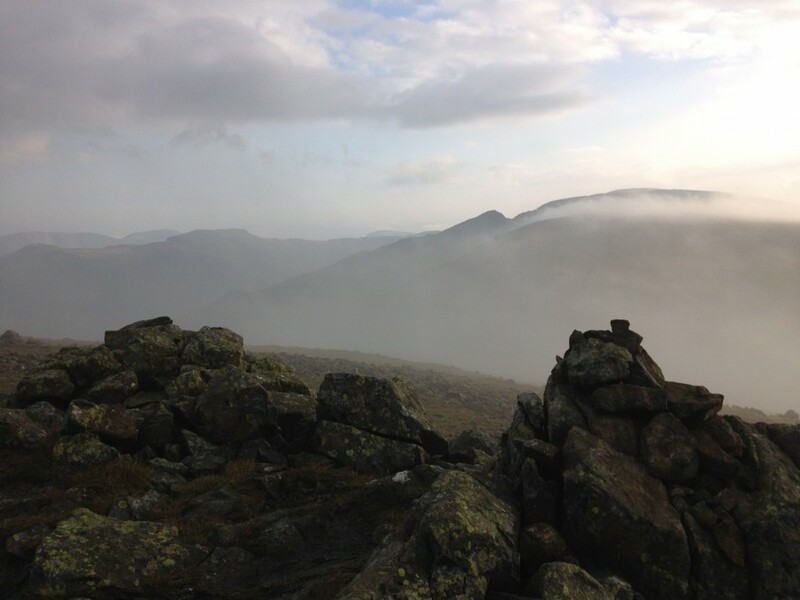 There are 214 Wainwright summits in the Lake District, as featured by writer Alfred Wainwright, in his popular Lakeland Guides. In 2014, I ran all 214 Wainwright summits, for the first time, within a calendar year. I enjoyed these running journeys so much, I ran them all again the following year. In 2016, I completed the lot again within 214 days. This will be my fourth consecutive year running all the Wainwright summits and I’m already looking forward to the fifth! I hope you enjoyed this article? If you want to be kept informed of new blog posts, simply add your email address to subscribe. 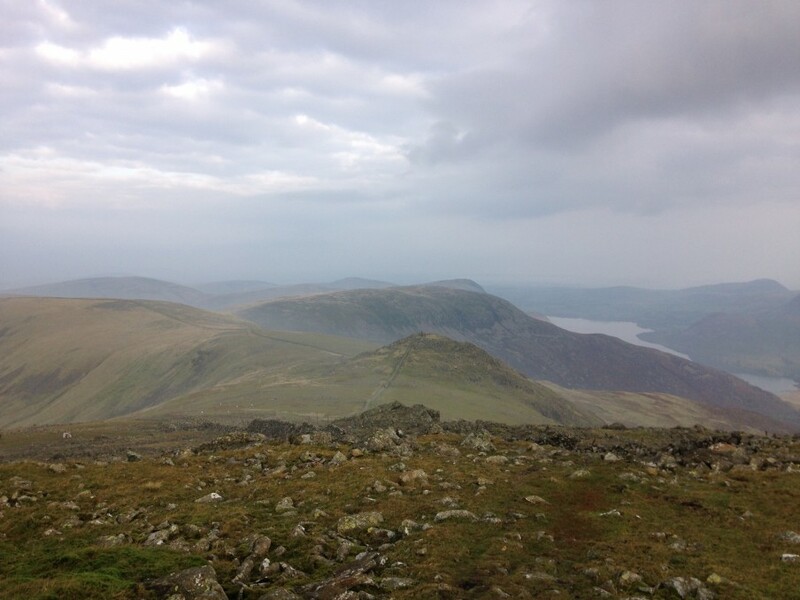 This entry was posted in Best Of, Blog and tagged 55@55, bagging, Bob Graham Round, Lake District, Lakeland Trails, running, summit, trail, trail running, Wainwright, Wasdale. Bookmark the permalink. I love reading about tour running Graham! I have done the 55 the last two years and some of the shorter trails. I am grateful for all your hard work in enabling so many of us to experience the Lake District ( I have expressed my gratitude to you!!!). I think the Lakeland Trails series is marvellous.